NYC Teen Author Festival Madness! 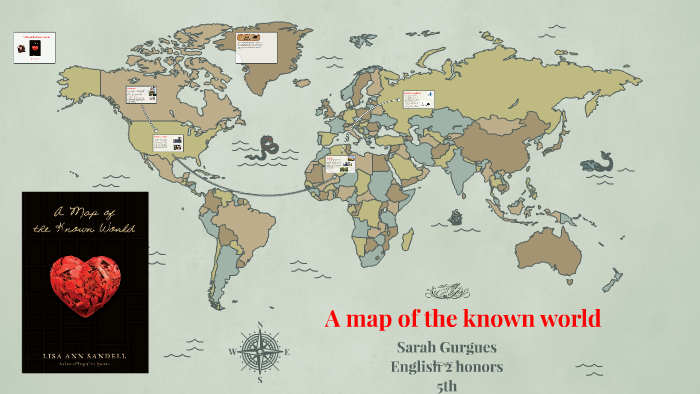 In A Map of the Known World, Cora Bradley dreams of escape. Ever since her reckless older brother, Nate, died in a car crash, Cora has felt suffocated by her small town and high school. She seeks solace in drawing beautiful maps, envisioning herself in exotic locales. When Cora begins to fall for Damian, the handsome, brooding boy who was in the car with Nate the night he died, she uncovers her brother’s secret artistic life and realizes she had more in common with him than she ever imagined. This is the tale of one girl’s journey through the redemptive powers of art, friendship, and love. As I think about why I wrote A Map of the Known World, it is my grandparents, Bessie and Sydney Sandell, who sadly passed away recently, who spring to mind. Losing them was one of the most painful experiences of my life. It was not my first brush with death, but their passing affected me so very deeply. My grandfather, Sydney, was an artist. He sculpted, painted, took photographs, and drew. He was a draftsman and a carpenter, as well. I admired his talent and skill so much when he was alive, and truly, it was his work that inspired me to pursue art. My grandmother, Bessie, was a storyteller. When she would sit down beside me, and we’d huddle around the kitchen table, she’d tell me stories about my dad’s childhood — wonderful, vivid tales that made his adventures come alive. She’d tell me about her own childhood during the Great Depression in Montreal, too, keeping me riveted whenever we met. Her storytelling made me want to tell my own stories. I loved them both fiercely, and I treasured my time with them. But, I am ashamed to admit, it is only now, when I feel their absence so intensely it takes my breath away some days, that I fully appreciate these amazing gifts they gave me, along with the gift of their love. Writing this book was an incredible and wonderful challenge for me. Art plays such an important role in my life, and I wanted to try to capture the vital dynamism that marks the way art connects humans to each other, to the world, to life. As we engage in creating or being involved at any level with art, we are forced to think about who we are as human beings and our place and role in this world. What a thrilling notion! I remember years when all I wanted was to run away from my life, to go somewhere new and exciting and to have an adventure. Some days I still feel like this, but now I know I can always make my escape into a great book or a museum filled with transporting works of art. So, armed with my memories of my grandparents, an appreciation for their talents, and the knowledge of what art means to me, I set about writing Cora’s story. Art can tell us about the world in which we live, and it can give us reason to hope and to dream. When you are always traveling, there are two problems you will always face—the travel arrangements and accommodations. But have you ever thought of going for serviced apartments? Well this is now becoming common in Mississauga. Here is a look at some of the benefits you stand to enjoy when you go to Mississauga. Many apartments come equipped with appliances and household utilities. An example can be the kitchen. Some even have appliances such as washing machines and home theatre systems with televisions sets and water heaters in the toilets. If you are not in the mood to wash your own clothes you can always send your clothes to the laundry service that these apartments offer. One great thing about choosing a serviced apartment in Mississauga is that the lease terms are very flexible. So, if you need the space for a short amount of time or for an extended amount of time, the company will be more than happy to work with you. Sometimes it is an absolute nightmare to get out of a traditional lease with a traditional landlord. This is what’s so great about serviced apartments, the companies that run them are much more understanding about the terms of the lease. Another reason that this is a good option for you is that it is a space that is specifically designed to be comfortable and easy to live in. Everything is placed in such a way that it makes it easy for you to both live and work the way that you please, giving you maximum freedom to use the space in whatever way you see fit. Also the quality of the furniture and fixtures is incredibly high. Most serviced apartments in Mississauga hire cutting edge interior designers who have a flare for the modern, sleek look. Some of the apartments look like they are straight out of a modern living magazine. Each line and detail are carefully put together to construct the perfect picture of new contemporary elegance. Serviced apartments are often located in safe neighborhoods and are within an enclosed facility. For added safety, they also employ professional security guards to secure the area. A 24 hour reception service is also available in case you are faced with any issues or need special assistance. This will enable you to have a peace of mind during your stay knowing that there is someone there to help you if trouble arises.